A few minutes walk out of Asagaya Station’s south exit and you can find yourself as close to Thailand as you can get in Tokyo — plastic chairs and all. 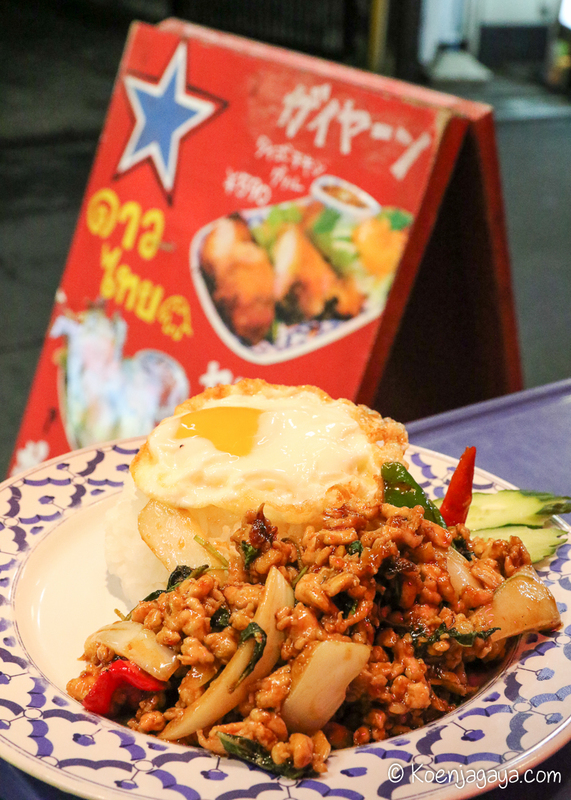 Dao Thai is a small Tokyo chain of three locations serving up traditional Thai fare — everything from grilled meat to curries, soups and stir fries. 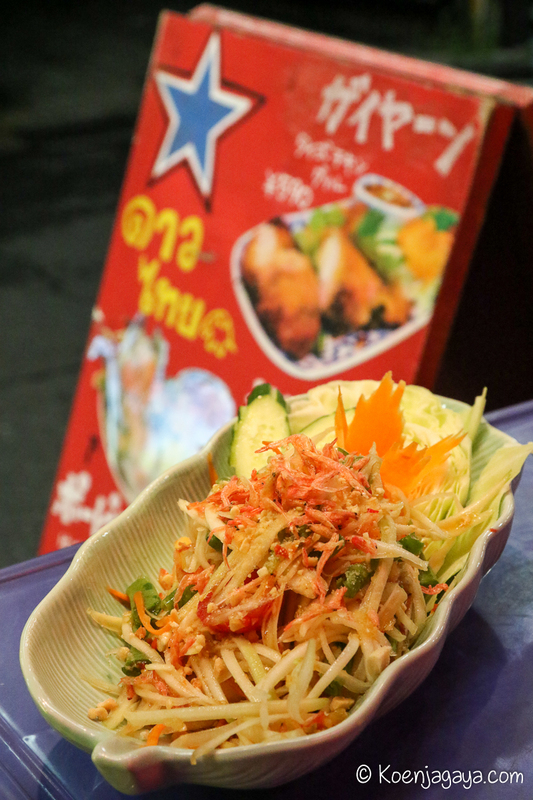 While if you’ve been to Thailand, paying more than 30 yen for pad thai may seem expensive, but Dao Thai’s food is not only very tasty, it’s also reasonably priced, especially given its proximity to the station. They claim to have seating for up to 50 people (for parties) but that seems a bit of a stretch — a little of that “same same but different” I reckon. The best table (in warm weather of course) is the only one they have outside. On their very small patio — or front step — it makes a good spot for people watching as well. 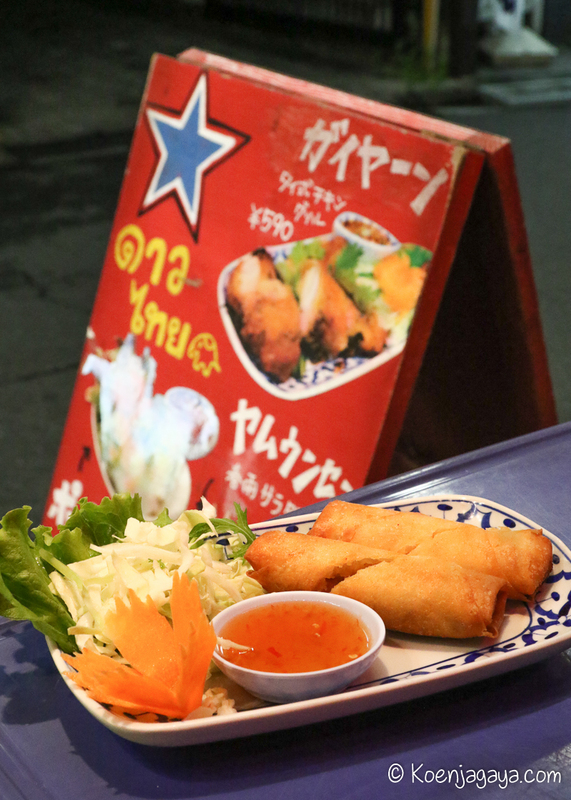 Dao Thai is on the right hand side halfway down the street of izakayas less than a hundred meters southwest (that’s down and to the right) of the koban (police box). Their other two locations are in Shibuya and Monzen-nakacho. Next Post Honey, Damn Good Honey.